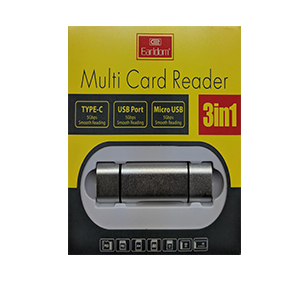 MobileLite is a compact, portable, multifunctional card reader that lets you easily transfer digital data, photos, games, music and more stored on memory expansion cards between all kinds of digital devices. Designed for use with different types of SD/SDHC, microSD/SDHC memory cards, MobileLite lets users carry a single device to store, transfer or read data on any USB host device while using a variety of Flash cards for mobile phones, digital cameras, Netbooks, computers, MP3 players and more. Ideal for personal or professional use, MobileLite will quickly become an essential part of your mobile gear. It’s ultra­portable, plug and play and requires no external power source. MobileLite has retractable covers on each side to make it compact and protect the USB connector and the Flash memory cards from damage. It also includes a USB extension cable that allows you to plug the MobileLite into USB slots that are harder to reach.